Skanda and other Maha Puranas, extolling the spiritual importance of Alampur, described it, significantly as Southern Kasi, western gate-way to Srisailam, Bhaskarakshetra and Parasuramaksherta. May be, some other kshetras also go by the name of Dakshina Kasi,but the close similarities that are most pronounced between Varanasi and Alampur, are conspicuously absent in the case of others, as will be evident from the following. According to mythology, ‘Brahma’ Carried on penance at Alampur for propitiating laswara by installing and worshipping a Rasalinga, on account of which the presiding deity, at the “Kshetra” came to be known as Brahmeswara. Alampur does not happen to be mainly a Saiva Kshetra only, The Deities pertaining to the ‘Shanmata’ of vedic originviz, Saiva, Vaishnava, Shakteya, Ganapatya , Koumara and Soura, also grace this Kshetra, Further, the ‘Murtis’ representing even the sub-sects of each of the main streams of the aforesaid religions systems, find a place here. What is more striking is the idol of Bhudevi, (Mother Goddess) installed opposite to Brahmeswara Swamy in the main temple, a blessing to all sterile women, This Deity is worshipped by one and all irrespective of caste or creed. In addition to the ‘ Nava Brahma’ temples, the Shrines of Venkateswara, Yoganarasimha, Suryanarayana, Basava, Vighneswara are also there from time immemorial, bestowing celestial bliss on numerous devotees, that visit the place. The skhetra happens to be a sacred place for the Muslims also. According to tradition, one Muslim Pahilwar, Shah Ali Pasha met his end at this place while engaged with his associates, in acts of vandalism in the temple, A Darga was raised in his Name and a ‘URS’ organised in the month of Zilkhad. 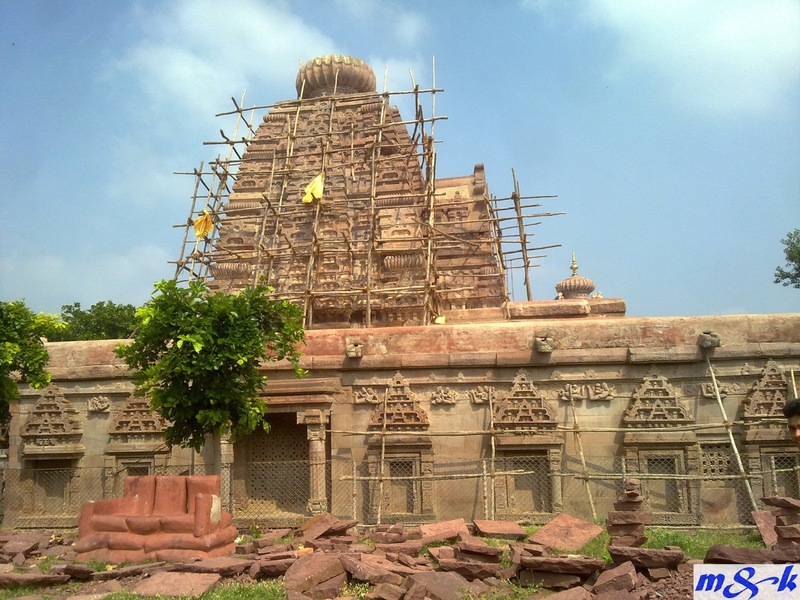 Alampur is a veritable mine of Historical sources, pertaining to the Western Andhras. A bout 70 copper Plates and stone inscriptions, relating to the several Dynasties that ruled over the South from the 7th to the 17th century are available here. Vaidic Dharma, almost lying dormant for some time, due to the flourishing glory of Buddhism and Jainism. Gained Prominence by about the 5th century in North India, under the protective wings of the Gupta Empire. In view of the salvaging efforts, in this direction by the charnpions of Hinduism – Chandra Gupta, Samudra Gupta, and Narendra Gupta – Vaidika Dharma’ established supremacy again through – out Bharat, resulting in the building of majestic temples all over the land. The program of ‘Dharma Raksha’ initiated by the Gupta rulers, was taken over and fully implemented in the south, by the Badami Chalukyas and Kanchi Pallavas. Fascinating shrines came into existence, on account of the healthy rivalries among the various rulers of the times. Parameswara Pulakesi, the Chalukya emperor, Vanquished Harshavardhana, the ruler of the Northern region, in a battle and extended his sway to Kanchi in the South and Kalinga in the East During his regime, Alampur rose to prominence as could seen by the temples with superb architectural beauty that were brought into existence After the Chalukyas Balavarma the army general of Dhara Varsha Dhruva Maharaja of the Rashtra Kutas, who conquered the area, not only completed the temple work left un-finished but also built the Mahadwara of the temple. Subsequently Alampur passed in to the hands of Kalayani Chalukyes of whom Jagadekamalla Trllokyamalla, Bhuvanaikamalla. Tribhuvanamalla, who visited the kshetra donated lands to the temple and the Vidya peetha, (A University of sculpture and architecture) connected to the same Trilochana Muninatha. Vyalasimha , Ekanta Desika, Isana Rasi, Bhuvana Sakti, Kukkuteswara, Dharanindra Rasi, B r a h m a Rasi Bhattaraka. Vitaranendra Rasi, Someswara Rasi, happen to be some of the most erudite Acharyas that adorned the Vidya peetha. Stone images of some of these Acharyas are found in the Main temple. The installation of the image of ‘Kapila Maharshi’ at the place, gives credence to the belief that Sankya Darsana was given a prominent place in the curriculum of studies of the Vidya Peetha. Kalyana Chalukyas were succeeded by Kalachuryas who is turn gave place to kakatiyas Subsequently Vijayanagar emperors extended their sway over the area, which later came under the rule of the Kutubshahi and then the Asafjahi Dynasty. Idols of Veerabhadra were installed in the temple area, by the Chalukyas. Bijjula Timma Bhupala, who ruled over Alampur, under the suzerainty of the Kutubshahi kings, rendered Murari’s Sanskrit play, ‘ Anargha Ragava’ into a high class Telugu Prabandhas. The Fort wall of the township was built during the regime of Sri Krishna Devaraya, for the protection of the temples. Chalukya style of architecture predominates in the temple structures, in Alampur, Chariot shaped sanctum, sanctorum a frontal ‘ Antaralam’ leading to Ranga Mantapam with a ‘ Pradakshina ratha surrounding the whole images of Ganga and Yamuna together with Dwara Palakas carved on either side of the entrance, Vimana on the Garbhalaya, witla Amalaka, and Sikhara adorning the same are the chief characteristics of the Chalukyan Architecture. The temples were built on a rectangular bace, with the entrance facing east. The outer surface of the temple walls are decorated with elegant sculptural desingns. Figuras of Dikpalas are fitted in attractive Deva Koshtas ( niche) and Kosta Panjaras, Sculptural figures pertaining to Mythology are also gracefully carved there on. The walls Presort a picture of Triloka, the upper part adorned with Khechara Midhuna motifs, the middle part with human Midhuna & the lower to the third showing demonic forms carved with grace & elegance. “భారతీయులం” |. 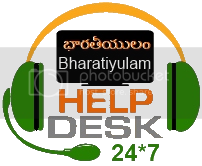 :: bharatiyulam.blogspot.in ::. | "Facebook"